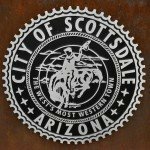 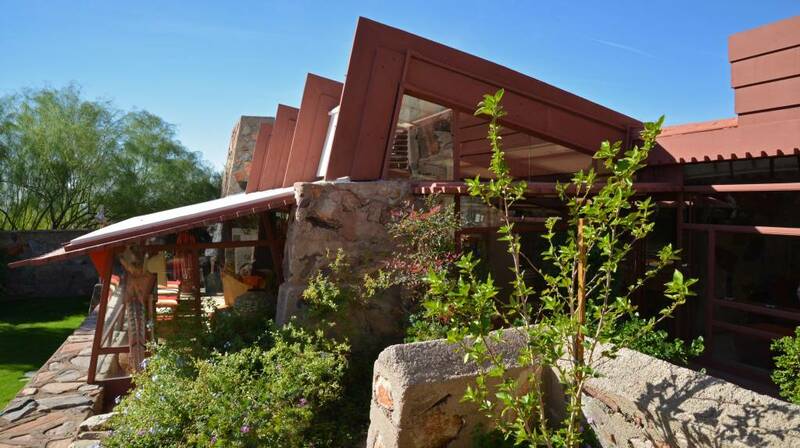 About 30-minute outside of central Scottsdale is Taliesin West, architect Frank Lloyd Wright’s winter home, which he built in the late 30’s, at the foothills of the McDowell Mountains. 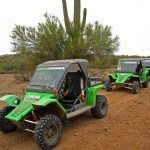 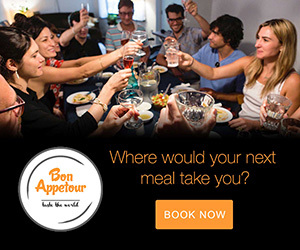 There are a multitude of tour options ranging from 1-3 hours. 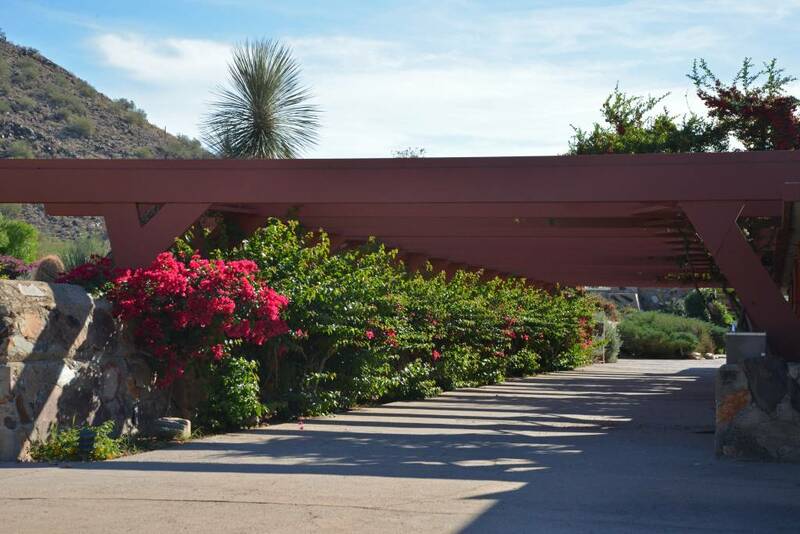 We took the 90-minute Insights Tour, which is Taliesin West’s Signature Tour. 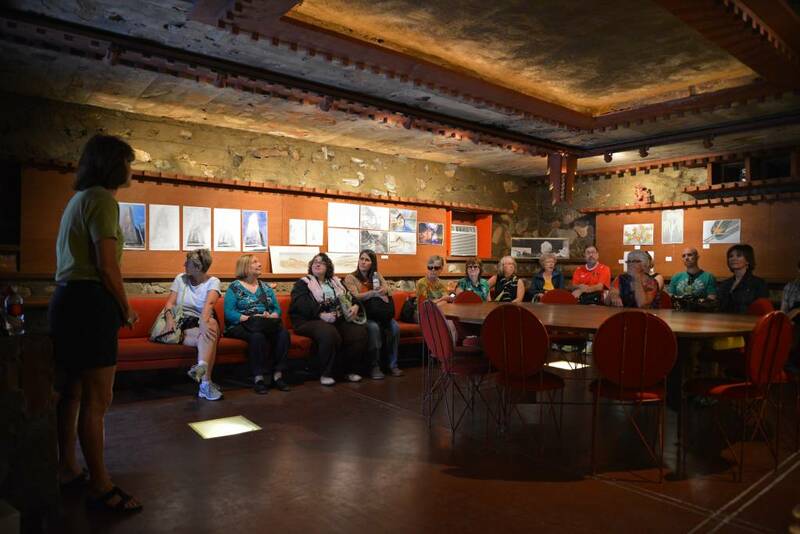 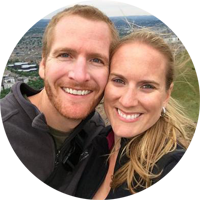 The Insights Tour includes all the tour stops of the 1-hour Panorama Tour (including visits to the Cabaret Theater, Music Pavilion, and Wright’s private office) plus additional insider access to private spaces enjoyed by the Wrights. 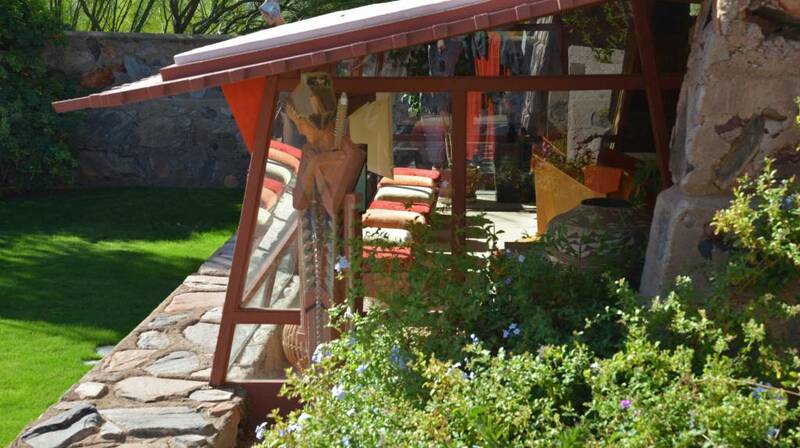 We toured the Wrights’ living quarters and the impressive “Garden Room”, which was my personal favorite stop on the tour. 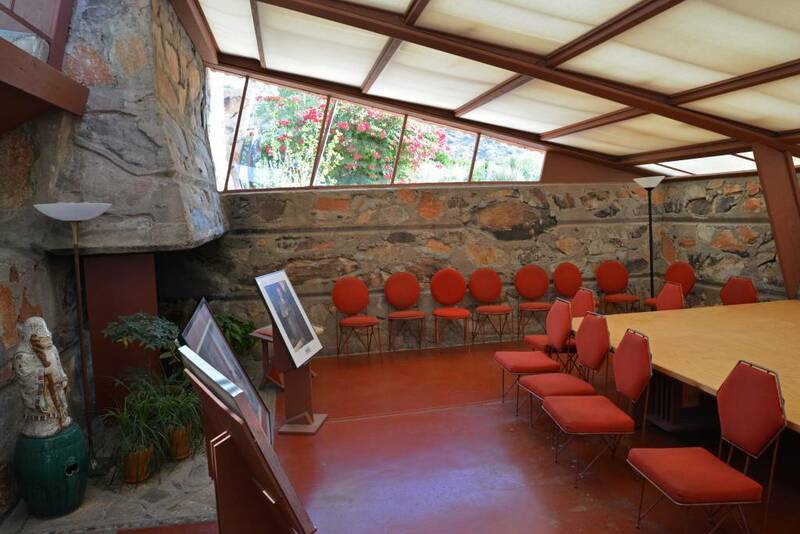 We absolutely loved the open floor plan and enormous windows of the Garden Room. 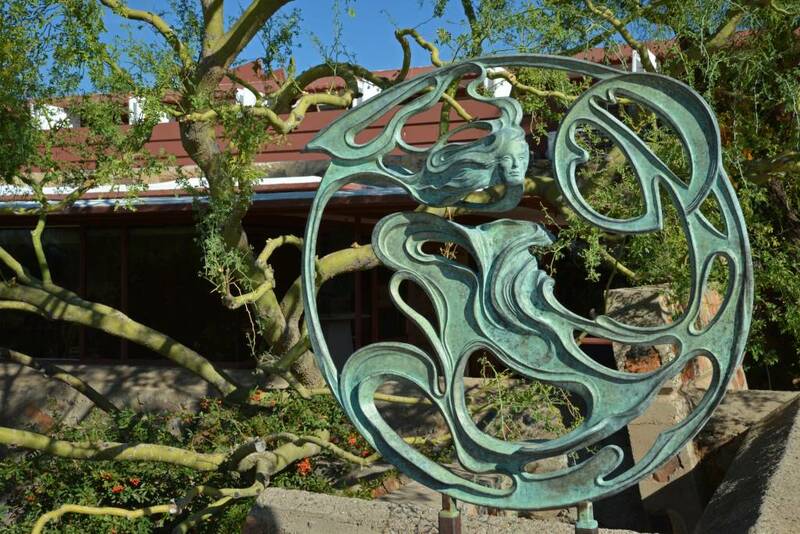 Throughout the tour, visitors learn to appreciate Wrights’ ability to blend the outside world with the inside. 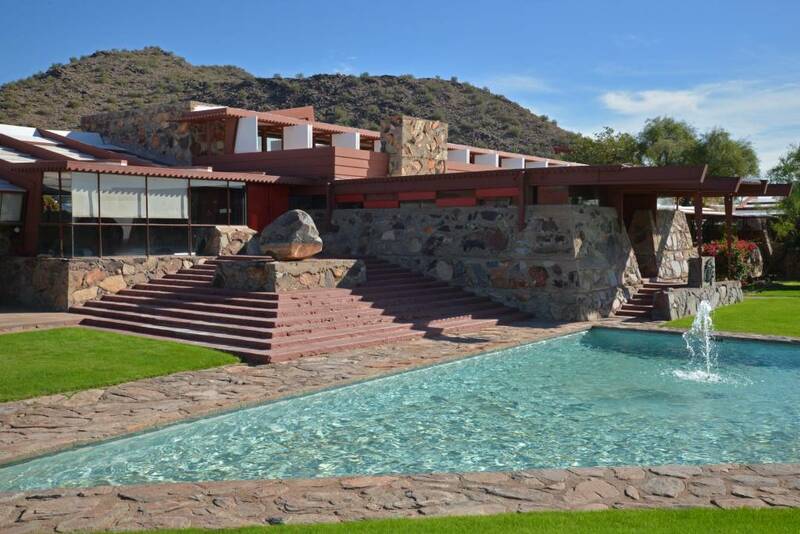 Lori was our very knowledgeable and informative tour guide explaining Wright’s vision, passion and personality along the way. 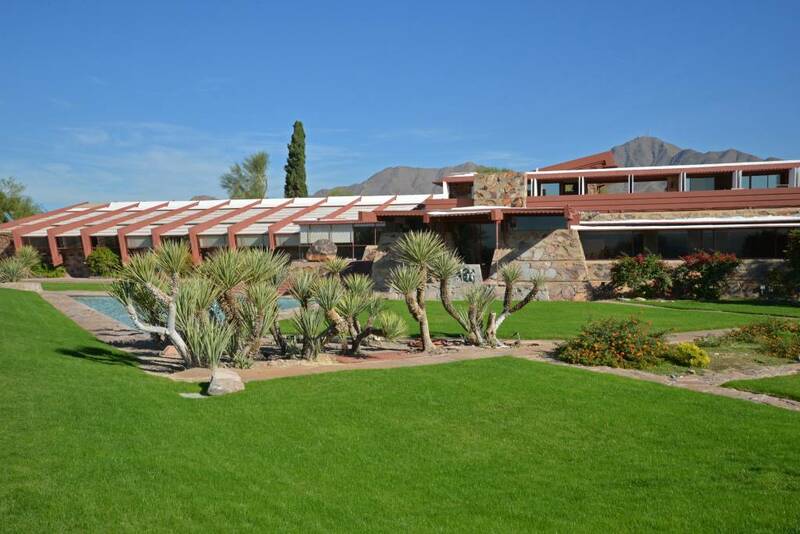 Wright was quite the entertainer and had many famous guests frequent his beautiful desert home. 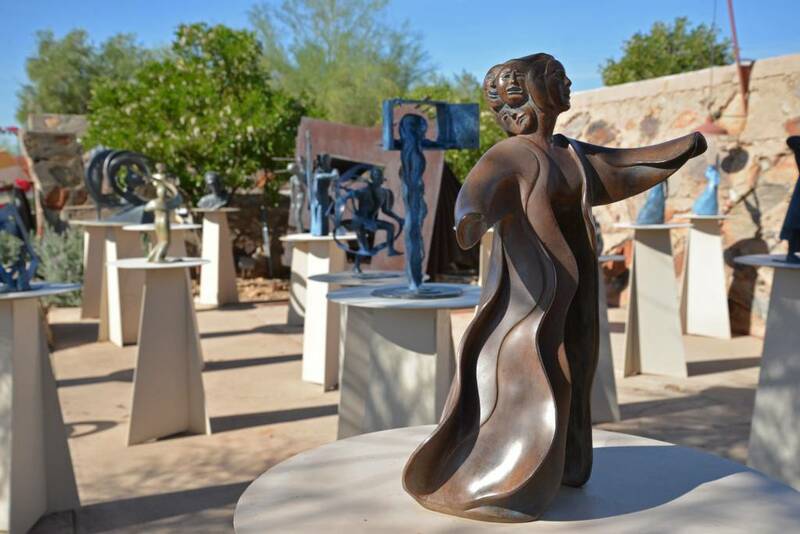 He was also a lover and collector of art. 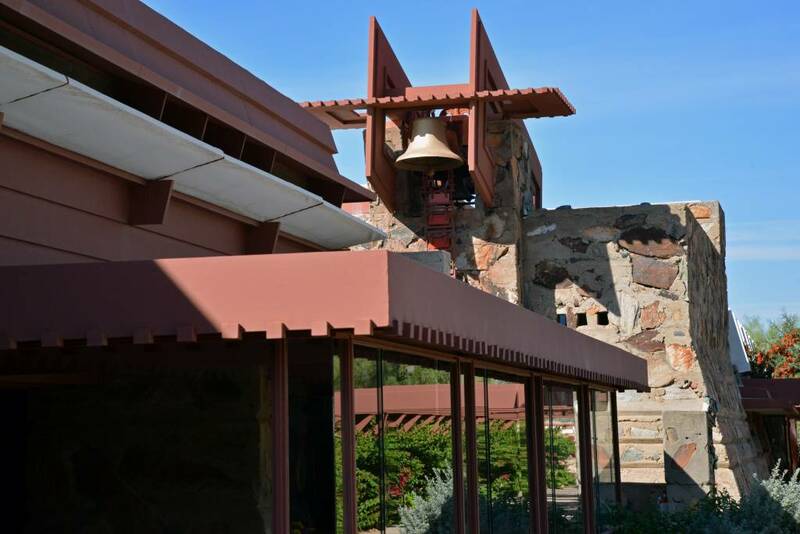 If you have a passion for architecture, beauty, creativity, or all of the above, Taliesin West should definitely be a stop on your next trip to Scottsdale. 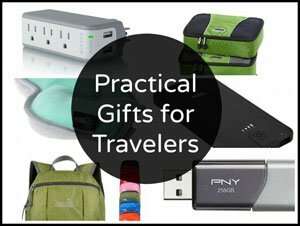 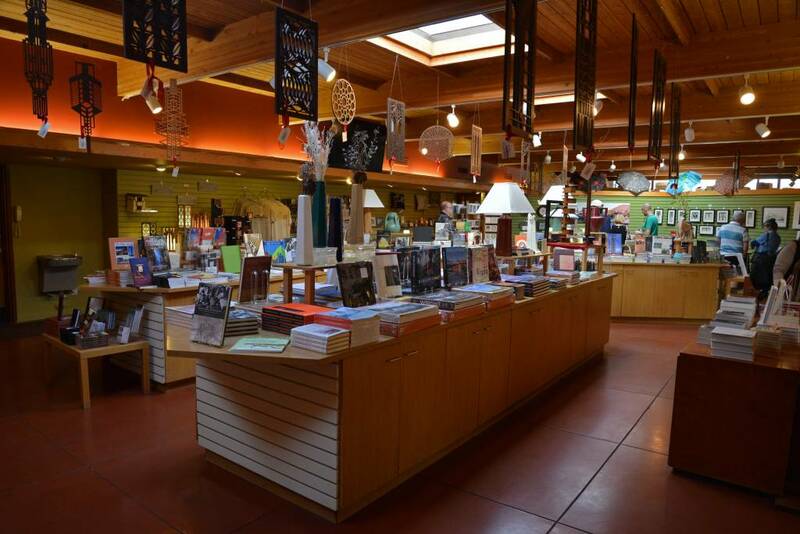 In addition, there is a great gift store on-site with an eclectic collection of Frank Lloyd Wright memorabilia and other architecture-inspired novelties! 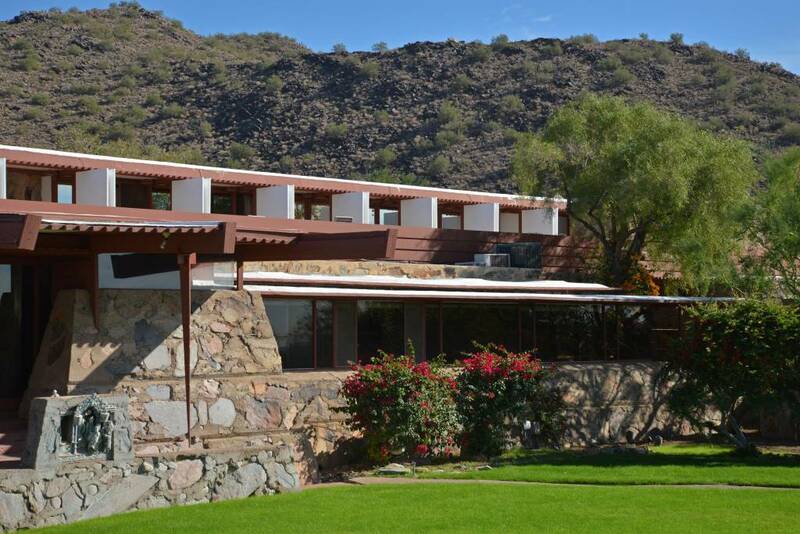 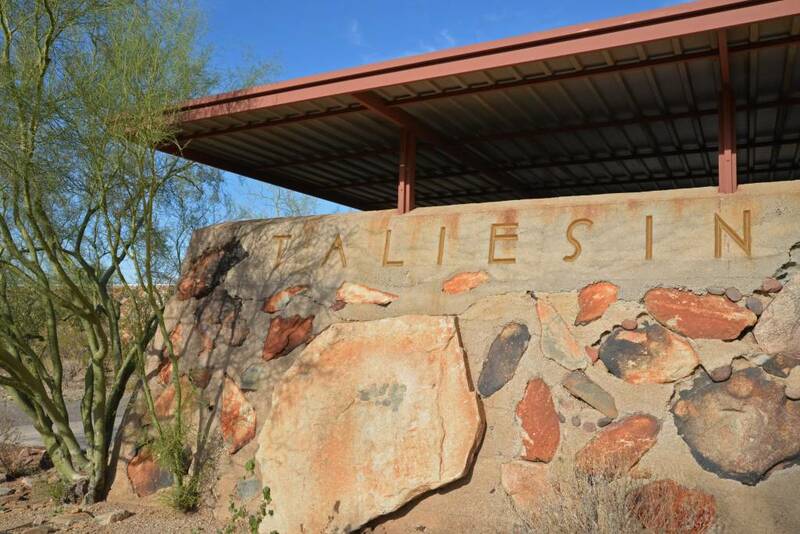 It’s interesting to note that Taliesin West is now a home and school to many aspiring architects. 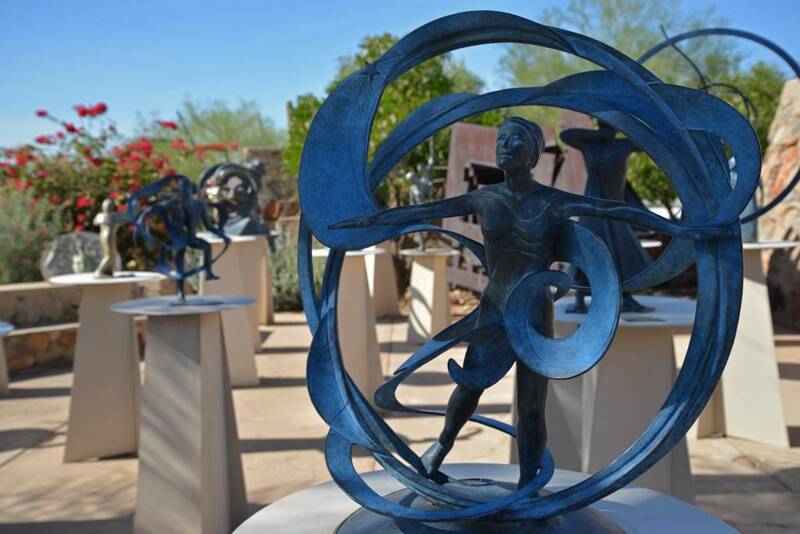 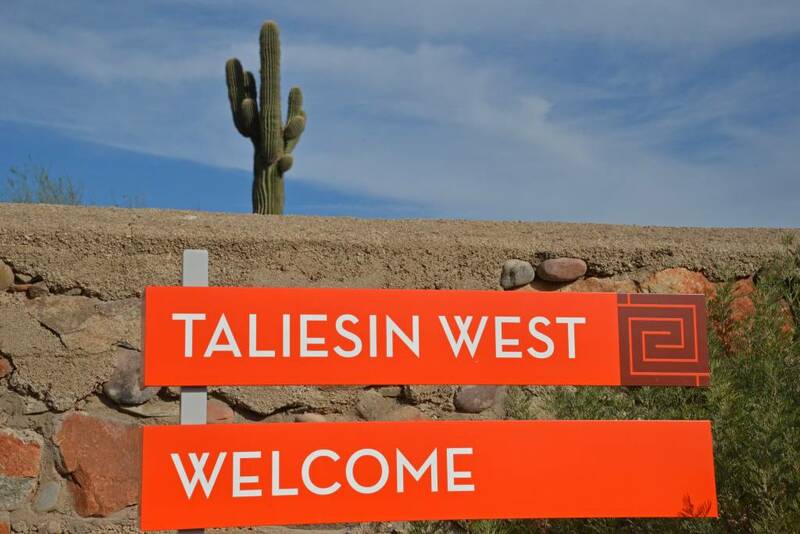 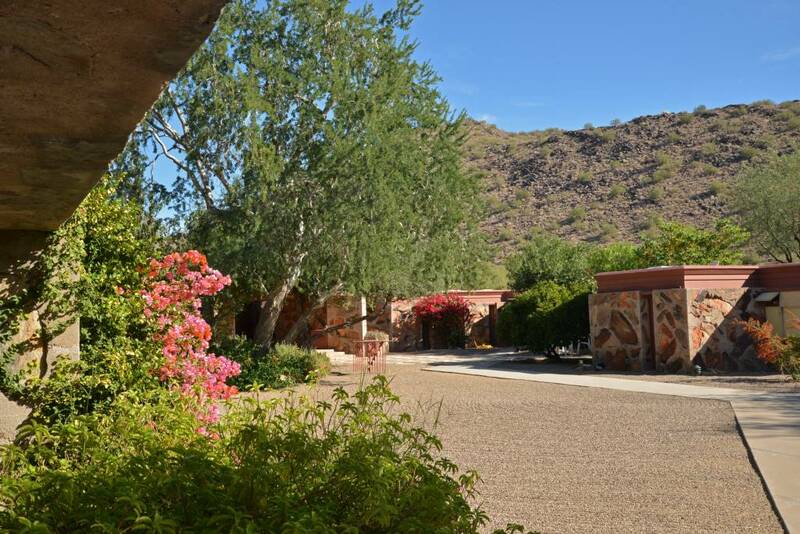 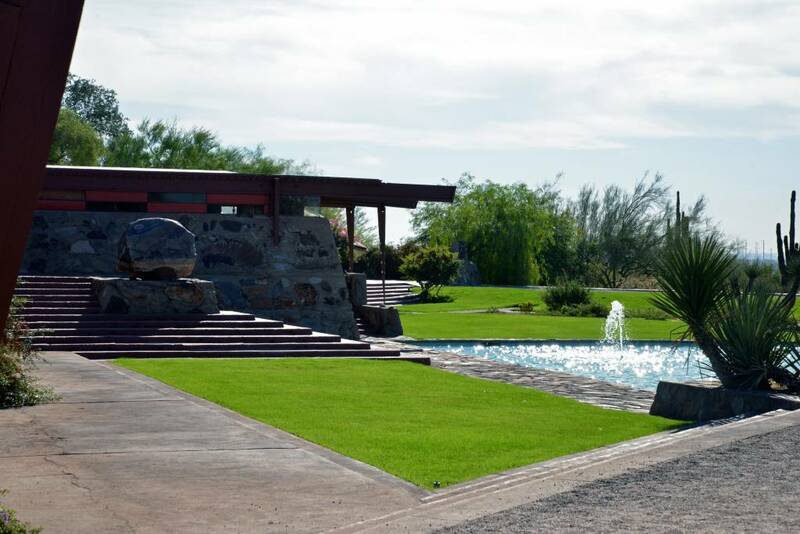 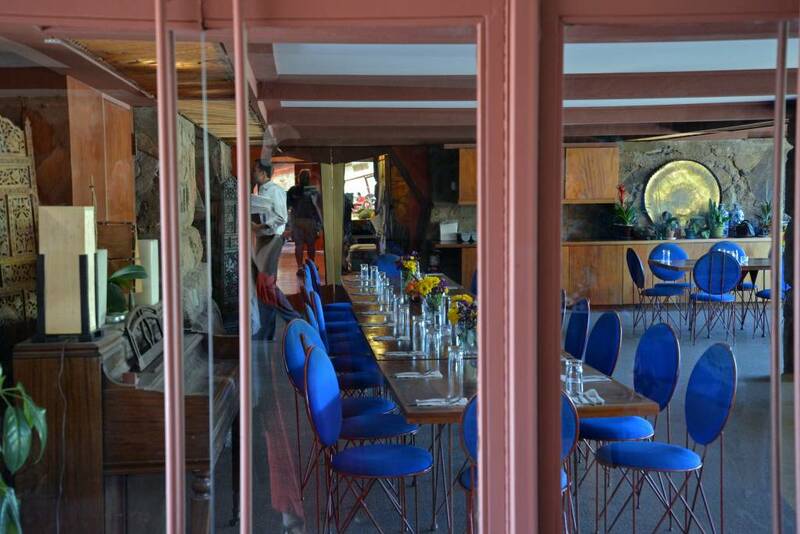 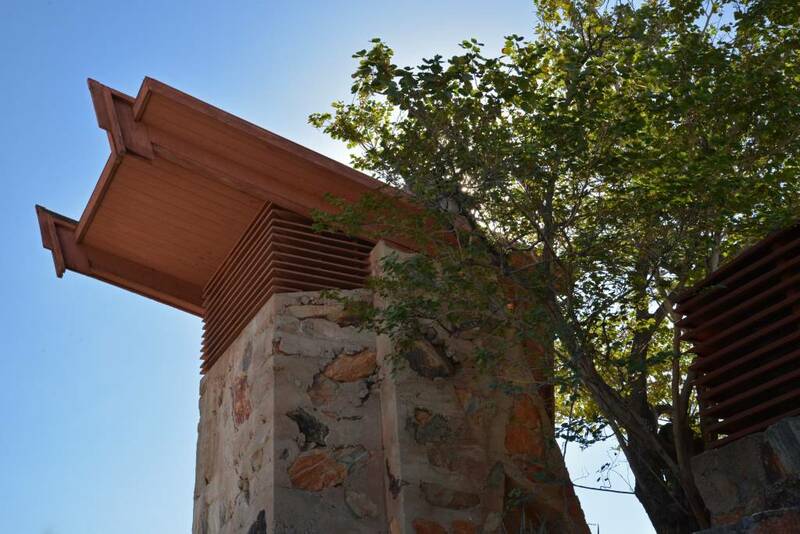 Taliesin West partnered with Forget Someday to provide us with complimentary admission. 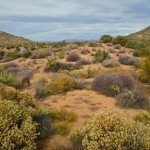 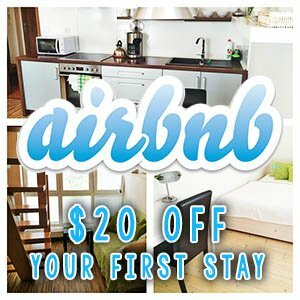 The comments shared in this post are an honest representation of experiences we had!